Photographed by K.E. Niven & Co. of Wellington. New Zealand circa 1958. 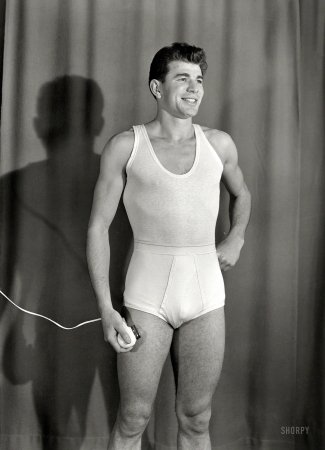 "Men's underwear being modeled,"